GaySocrates: Radical Faeries: Why Are We Here? Radical Faeries: Why Are We Here? There are times in the history of our humanity when, suddenly, unexpectedly, and dramatically, human consciousness shifts. When this happens, historians are usually curious about how these changes came about. Who did what to whom, and when? 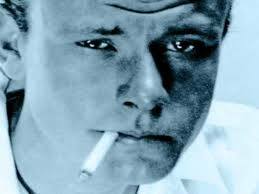 It is quite possible that the name of that queer was Harry Hay. He was one of the founders of the first gay liberation movement organisations in the U.S.- the Mattachine Society. The story of how that small group brought hope and then ultimately tangible human rights equality to a growing number of nations across the world is told in a short, gripping movie biopic ‘Hope Along the Wind’ coming to the Brighton Fringe Festival in May. Interestingly, Harry Hay’s involvement at the inception of the LGBTQI+ liberation movement was not the end of the story. After the movement’s historic successful legal challenge of a cottaging charge, the movement was flooded with ‘assimilationists’ (who believed ‘we’re just like straights apart from our sexualities’). He stepped away from the movement believing steadfastly that having sexualities was one of the few things that queers did have in common with the mainstream. He believed that queerness gave us a unique window through which we are able to view society and that we then favourably influence society through our own individual cultural engagements. Following his discovery of a resonance with the Native American identity of Berdache or ‘Two Spirit’, he began to see queers as a tribe of magical spiritual creatures with a unique role to play in the development of human consciousness. Come along and say hello to the Brighton Faeries!